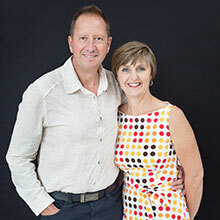 Surety was established in 2001 by Bruce and Sharlene Cohen who were tired of people paying good money for poor quality property inspections. We don’t and never will condone the re-selling of building and pest reports to another buyer you can be SURE of that. It is very common practice in our industry, and we believe it to be unethical, and we are not going to undermine our client’s ability to purchase because we on-sold your report to someone else and what right do we have to do that—None. Our buyers of property are predominately risk averse buyers of residential or commercial properties—who need all the facts and we give them exactly what they need to make a successful financial decision. Our termite management clients are those who understand the problems that termites can cause them. While you can’t see termite doesn’t mean there not there. To many people ignore termites and don’t take their destructive nature seriously. We prefer to help our customers understand the best way to manage termites and we don’t use scare tactics. We are honest, genuine and tell you as it is. We are building and termite specialists and not generalists. We not only inspect and assess properties, but we can treat and manage termite problems that owners or buyers may encounter. We have major contracts with Defence Housing Australia and NSW Housing and have worked with other government departments, councils and developers. 100% Australian owned and operated, we have offices in Canberra and Bateman’s Bay and service the entire ACT/Queanbeyan Region and the South Coast of NSW with a local service team. Quality is not a matter of chance it is a matter of choice. Bruce Cohen is a Building and Termite specialist and Director of Surety Property Group. 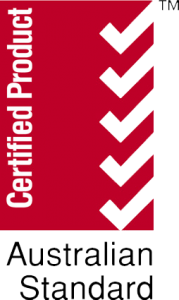 Bruce’s expertise is assessing hidden building defects on both residential and commercial properties. Bruce has been in the industry since 2000. Bruce and his team will inspect and treat your property and are the ones who you will discuss their findings with you. Bruce has been a judge for the Master Builders Housing Industry Awards for the Southern region since 2015. He has experience at all levels in assessing faulty building practices. Our clients are predominately risk averse home buyers or property investors. We give our clients clarity, certainty and reassurance. Sharlene Cohen has been the General Manager of Surety Property Group since 2005. Prior to joining Surety, Sharlene worked in lending and financial planning. Sharlene clearly understands the buying process and enjoys helping her clients work through the best outcome for their individual needs. Her primary focus is customer relationships and providing solutions. Sharlene and her team are your first point of contact to arrange your inspection and answer any questions you have about what’s involved. “I recently retained the Surety Property Group to undertake a full inspection of a property we were considering purchasing. I would like to acknowledge the professionalism of your company and the excellent service I received. The initial briefing was very helpful and the range of services was clearly articulated by Sharlene with clear expectations of timelines and costs. I was really impressed that I received daily updates on the progress of the inspection and the results of the enquiries with the council. Surety understood there was some urgency to undertake the inspection and provide me with a report – and responded accordingly. Within three days Bruce had made all the relevant enquiries and gave me a verbal report on his findings. The following day I received a comprehensive report which gave me a great deal of confidence to proceed with the purchase of the property.